Uranus. Hubble Space Telescope (HST) images of Uranus as seen from Earth, appearing to tilt over time so that its rings are seen edge-on. 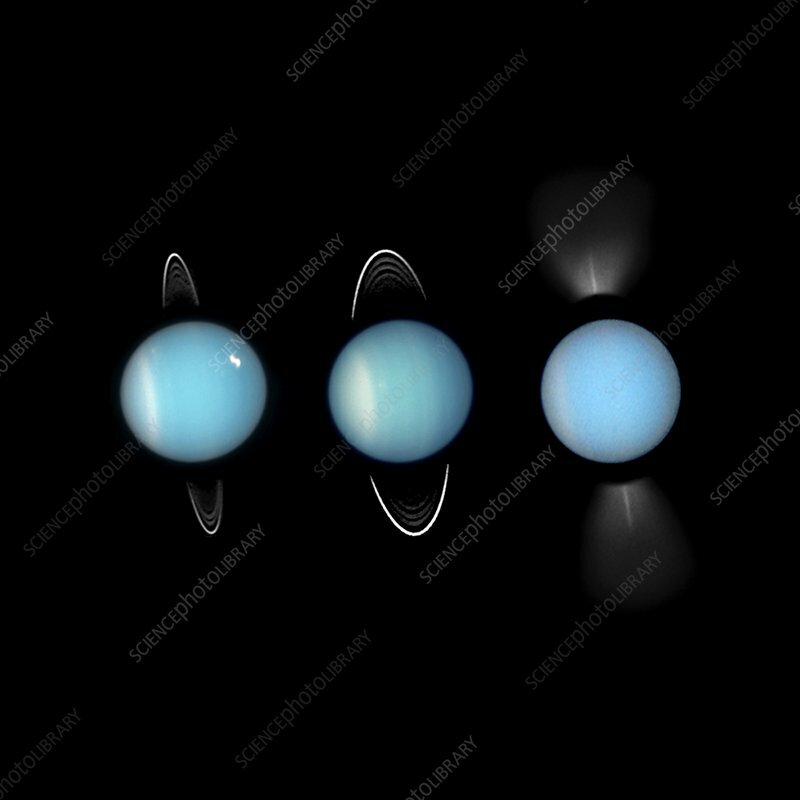 Uranus is unique among the planets of the solar system in having a tilted rotation axis that is close to the main solar system plane in which most planets move. The central image was taken in 2003, the left image in 2005 and the right image in 2007. Uranus takes 84 years to orbit the Sun and so the rings are only observable on edge from Earth every 42 years.